City officials claimed at a meeting on Monday that street crime including pick pocketing and robberies were seen to be on the rise, and seemingly occurring at all times and locations across Ho Chi Minh City. 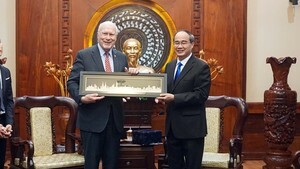 Pham Thanh Kien, vice chairman of the People’s Committee of District 1 said that 160 criminal incidents and 140 robberies had been reported in the district over the last eight months of the year. Some hotel owners had complained to the government after many of their foreign customers were made victims. Many robberies happened in high office buildings as the guards were lax or some may have even colluded with the robbers. Senior lieutenant Tran Van Ngoc from the city police said that the number of reported robberies had dropped year-on-year but he’s aware that many victims also did not report their case. Tran Vinh Tuyen, chairman of the People’s Committee of District 1, admitted that the police and concerned authorities have not cooperated well with local people, guards at banks, office buildings and shopping malls. Le Minh Tri, vice chairman of the city People’s Committee, called for the city forces to work harder and impose more penalties to make local people and tourists feel safe. According to feedback from Sai Gon Giai Phong readers, robberies and crime has become more dangerous and scary in recent months. Tran Anh Vu, a worker at Pouyuen Vietnam at Tan Tao Industrial Zone in Binh Tan District, said that when he waited outside his wife’s factory on August 30, two people on a motorbike passed by and snatched his cell phone when he took it out to call her. 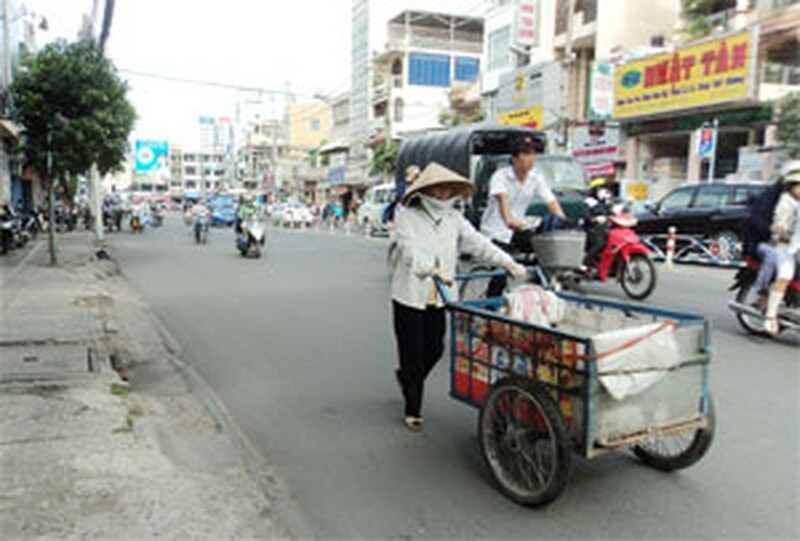 Another robbery victim Huynh Thi Sanh, a vendor at Hoc Mon agricultural market, said that two people on a motorbike snatched a bag from her neck at around 10 p.m. on September 3, making her lose control of her bike and she injured herself as she fell. Observations by reporters at hot spots such as industrial zones, An Suong Bus Station showed at least three people being robbed of purses and cell phones. Crime is not just happening on streets but also in people’s homes as well. To Nu Hoang Mai, a local at Tan Quy Dong settlement zone in District 7, lost all her money and a lot of furniture when thieves broke into her house in July, when she was away. Local police have arrested the thief named Cuong and his accomplices, when they were trying to steal motorbikes in the area. Many people have also been threatened with used needles to part with their money and cell phones. Some incidents of stabbing have also been reported. One such case happened to Vu Duc Anh Khoa, 36, from Binh Chanh District, on the night of June 6. Khoa was stabbed to death with scissors by four people when he stopped his motorbike on the street. Such violent crimes have made police and concerned authorities work harder. Senior lieutenant Nguyen Van Hue, deputy police chief of the Binh Tan District, said the district police have enhanced secret patrols day and night. One large district, which is home to many factories, industrial zones and a large population of migrants, has seen much crime in recent years. Figures from district authorities show that 307 robbery cases have happened in the district over the first nine months this year, with 318 arrests, 19 of which were of man slaughter. Robberies in the city have become even more frightening as many of them are suspected to be committed by drug addicts who have nothing to lose. Dozens of addicts gather every day under An Suong flyover in District 12. Once a clean area, it now has used needles thrown all over the road, causing people to shun the locality. Commander Trang Van Hinh from the district police said the area has become a crime zone and local forces are trying to come up with an effective solution to clear the area.